Earlier, Joe Flacco was reported to have back soreness and miss some time, but now it’s being added that he’s going to miss 3-6 weeks with that injury. The Baltimore Ravens were praying to the injury gods to leave Joe Flacco alone, but it looks like it got them before training camp started. It was reported that Flacco was dealing with back soreness and that could potentially keep him out of practices during training camp. Well, now it looks like the situation got worse. According to NFL.com’s Ian Rapoport and Tom Pelissero, Flacco is set to miss 3-6 weeks with a disc issue in his back. 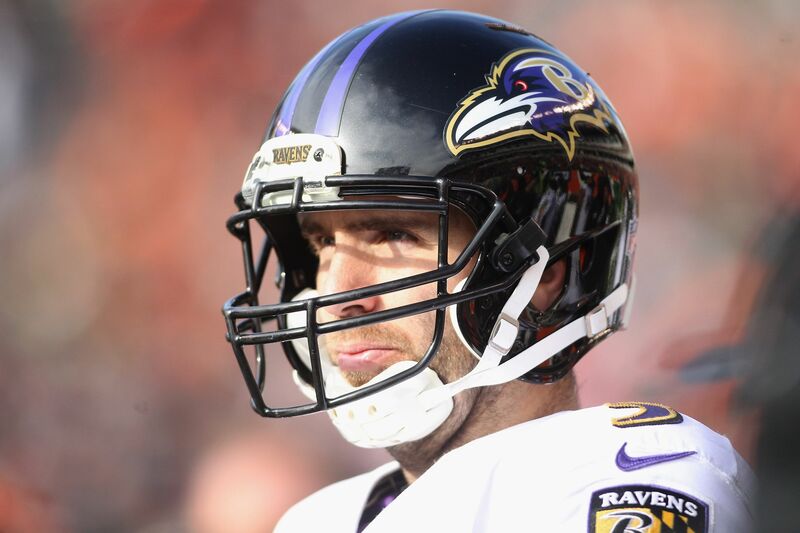 #Ravens QB Joe Flacco is preparing to miss 3-6 wks with a disc issue in his back. Out at least a week or 2, sources tell me & @TomPelissero. The reason for Flacco’s injury and missed time? According to ESPN’s Adam Schefter, it looks like the Ravens’ quarterback was hurt during a lifting session. The team thinks that the injury can be tamed with some rest, but still it’s a scary situation for a franchise QB. Joe Flacco injured his back lifting. Took an MRI. Team believes a week of rest will calm injury and not expected to miss significant time. This could be a positive for the Ravens, who are missing Flacco during the beginning stages of training camp, not necessarily during the regular season or playoffs. In the meantime, the Ravens and John Harbaugh only have two other viable quarterbacks in the fold, between Ryan Mallet and Dustin Vaughan. The Ravens could look for other quarterbacks, but as of earlier today, they were only going to keep the two. I have to wonder if the status on Flacco missing up to six weeks would change the outlook for GM Ozzie Newsome. The Ravens went ahead and added lots of weapons for Flacco, starting with WR Jeremy Maclin, but injuries to TE Dennis Pitta and RB Kenneth Dixon are making the outlook tougher for the Ravens. With heavy expectations, hopefully Flacco can get his back fixed and ready to go before the regular season.